Coral Tree Salon and Day Spa, Ocean Isle Beach, NC. You can book your massage online! Signature, Deep Tissue, and Hot Stone Massages are now available for online booking. Enjoy a 50, 80, or 100 minute session! Packages, Couples Massages, and Wedding Services cannot be booked online. Please call (910) 575-4422 to schedule these services. The policies set forth by Coral Tree Salon and Day Spa represent our intent to maintain a professional work environment while providing our clients with the best customer service possible. Please arrive ten minutes prior to your spa appointment to allow time to fill out our short health form. This also gives you time to use the restroom and unwind before your spa treatment. We ask that you give us at least 24 hours notice if you need to cancel your appointment. After two same day cancelations or no shows, we reserve the right to request a nonrefundable deposit to book your next appointment. We strive to keep appointments on schedule. If you arrive late and the specialist is committed to another client, your appointment may have to be shortened to fit into the allotted time or rescheduled. If you are 15 minutes or more late for your appointment, we reserve the right to reschedule your appointment to another day and/or time. Any returned check will result in a $25.00 service fee. We welcome walk-in clients. 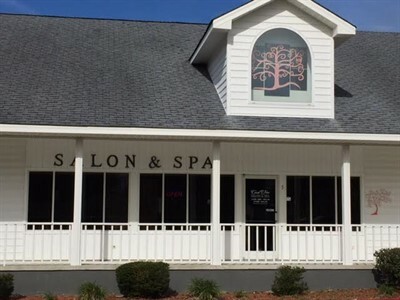 To avoid a possible wait time it's best to make an appointment, please call the salon at 910-575-4422 or use our "book now" link on this website to schedule an appointment. We strive to make sure our customers are satisfied with the service they receive. If there is a problem with the service, i.e. broken nail, hair that is too light or too dark, please notify us within 48 hours of your appointment. We will be happy to discuss options to resolve your issue. To read the full policy, please click on the Info tab in the menu at the top of the page. Please note that refunds are not available on services. You are paying for the stylist's time, and time cannot be returned.